Because this is not a wearable, I’d like to start with a brief message. I’m going to be doing this review a little different than usual. The MiniFinder Pico – which is what I’m reviewing – is a small GPS tracker that can be used worldwide to track, well, just about anything. Except you don’t wear it. Not on your wrist, and not on your person. It does have space to hook a lanyard to the device if you want to wear it around your neck or something, but for the most part, it will sit inside your pocket or bag. That’s why all the fuss. Sometimes, you just need to be able to track a person, item, or vehicle. You probably don’t have hundreds – or maybe even thousands – to spend on an advanced GPS system. 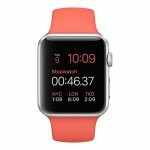 You could opt for a smartwatch with integrated GPS, but most wearables aren’t designed with tracking in mind. It’s much smarter – and more efficient – to go with something that was specifically built to be tracked and monitored remotely. The MiniFinder Pico GPS Tracker is that something. It’s about the size of a key fob or the electronic keyless entry tool you get with most vehicles. There’s a single, round physical button on the front and two more buttons on one side. There’s a small loop at the top you can use to hook the device to a lanyard so that it can hang from your neck or bag if you want. That’s about it. There’s no need to discuss design, build or appearance. Of course, it is important to mention that the device seems durable – and won’t break easily. Other than that, you’ve heard everything you need to know about it regarding appearance and design. It is, well, it’s just a mini GPS tracker. What makes it different than anything else? 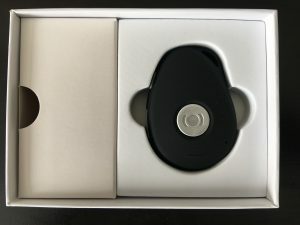 It’s a dedicated tracking tool; it’s small so remains discreet and has a great selection of hardware specs that you may – or may not – be impressed with. Let’s take a closer look. Overall: 4/5 – The MiniFinder Pico GPS is small, discreet tracker that is both reliable and accurate. The main concern with something like this is whether or not it works. Can you ping the tracker remotely and get an accurate reading? Does it return a result within a reasonable amount of time? Is it reliable? Does it get service everywhere? Are there areas of the world – or country – where you cannot use it? The short answer to all of these questions is yes, it works great and is reliable. As for the details, let’s discuss. It has 2G network support for 850/1900Mhz and 900/1800Mhz bands. That means it will work almost anywhere in the world there’s mobile service. Does that mean you can pay for service through any provider? No, not necessarily. The service cost is $25.00 per month – once activated – and you pay and receive service through a proprietary provider. The device includes a SIM card installed, so once you receive it, you can get it up and running fairly quickly. Pairing it with the mobile app is simple, although some may have difficulty finding the app – it’s called Tracktor GPS, not anything Pico branded. Tracking is fairly accurate up to a range of 5m or less and takes anywhere from 2 minutes to just under 80 seconds to complete. The first startup of the device takes a little longer, and each subsequent update is shorter. The mobile app and tracker automatically transmit location every 2 to 3 minutes while it is powered on. 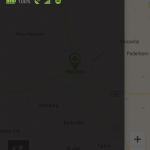 You can check on its location from the app via a Google Maps style interface. That is, unsurprisingly, all there is to it. Tracking: 5/5 – Tracking remains incredibly accurate up to 5m and doesn’t take long to complete (within 80 seconds to 2 minutes at the most). The app is available for Android and iOS. It looks and works the same on both platforms. Compatibility: 4/5 – It’s compatible with Android and iOS and there are apps for both platforms. What more could you ask for? 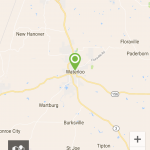 Assuming you’ve already signed up for an account and activated your service, the app opens right to the map interface. You can track multiple devices all from one device, or a single one – it’s up to you. 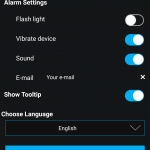 Obviously, with the alarms the app will send you notifications and push alerts when something happens. 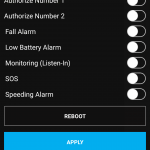 The speed alarm, for instance, allows you to get notified when the device crosses a certain speed threshold. This is great if you have a teen or new driver in the family and you want to make sure they’re not racing down the highway. As for the other alarms, they’re self-explanatory and reliable. Device tracking is quick and remarkably accurate. This would be excellent for parents trying to keep an eye on their kids, an elderly loved one, or even pets. You can strap it to your dog’s collar, for instance, and find them instantly if they escape your yard. Doing you one better, you can set up a geofence area or boundary that notifies you as soon as your pet leaves that area. You’ll know right away that they’re loose. There’s a fall alarm too that uses sensors inside the tracker to detect for impact. All in all, the mobile app is super easy to use, performs extremely well, and doesn’t bog down your mobile device. I also didn’t notice a significant battery drain either, which is common for apps and devices of this caliber. Mobile App: 4/5 – The Tracktor GPS app for the MiniFinder Pico is super useful, performs well, and won’t bog down your phone. 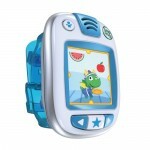 There are plenty of settings and features to toy with too. 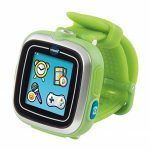 Should I Buy the MiniFinder Pico? If you want a dedicated tracker with a well-designed mobile app and reliable service then yes, get the Pico. It doesn’t matter what or who you want to track, provided they have the device on their person – or attached – you’ll be able to see its location. It’s not a wearable and doesn’t look like one. 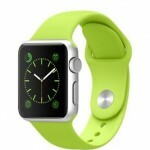 If you want something that’s more in line with a smartwatch or wrist-worn device then you’ll want to go elsewhere. Overall, the Pico should provide reliable, accurate tracking almost anywhere in the world. Where Can I Get the MiniFinder Pico? 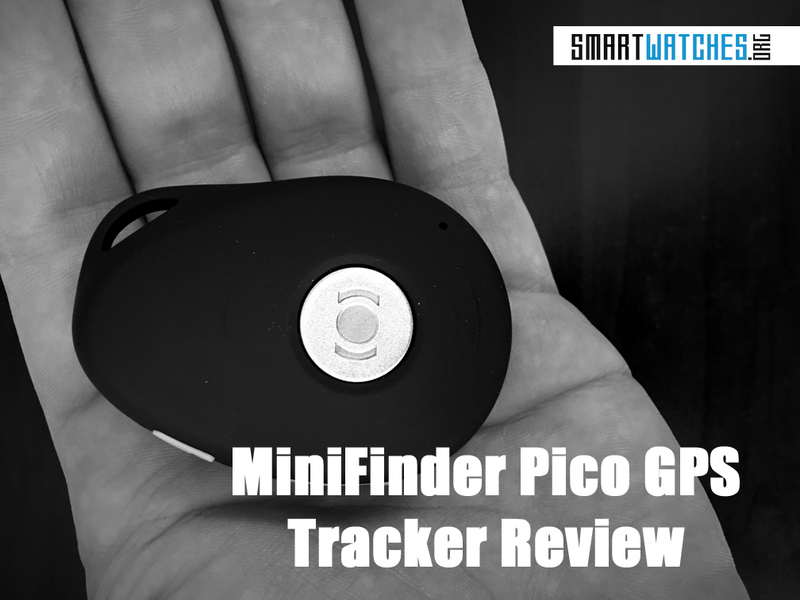 Disclaimer: MiniFinder graciously provided the Pico GPS tracker for this review.